You’ve heard that housing inventory is too tight, that new home sales continue to rise, and that mortgage rates are hovering near all-time lows. 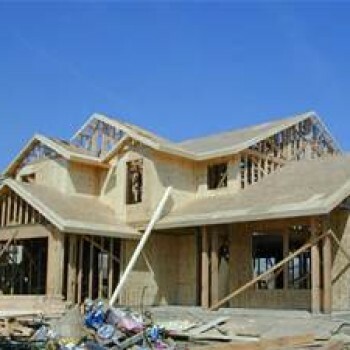 Looking at these factors, one would expect new construction to be skyrocketing. Surprisingly, new residential construction remains only around half of what it was at the peak of the housing boom. In July, new home sales were up 12.4% from June, an unexpected surge that brought sales to the highest levels in nearly nine years. Surprisingly, private residential construction spending only increased 0.3 percent in the month, and spending on new single-family homes fell by 0.2 percent – marking the fifth month of declines in a row. Meanwhile, available home inventory was down 5.8 percent year-over-year in July. Experts describe the mismatch of weak residential spending and strong new home sales as “confounding.” The explanation, it appears, has to do with a lack of skilled labor. The housing market crash drove roughly 30% of construction workers into new professions. Today, the National Association of Homebuilders (NAHB) estimates that there are 200,000 unfilled construction jobs in the U.S., an increase of 81 percent over the past two years. In other words, the work is back, but not the workers.